Represents businesses and individuals in real estate transactions, including the purchase, sale, and development of commercial and multi-unit residential properties and commercial leasing transactions for retail, office, and industrial spaces. Mr. Davis is part of Englander Fischer’s business litigation team, which represents commercial, non-profit and institutional clients in a wide variety of business and commercial matters. 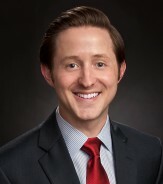 Mr. Davis joined the firm as an associate in the Fall of 2015. During his time in law school, Mr. Davis was named a Levin College of Law Scholar and received the Holland & Knight Scholarship. He proudly holds a bachelor’s degree from Louisiana State University, where he double majored in history and political science. Mr. Davis was born and raised in St. Petersburg, where he attended Holy Family Catholic School and St. Petersburg Catholic High School. He spends his free time volunteering with local civic organizations, enjoying Downtown St. Petersburg community and supporting his LSU Fighting Tigers (along with whoever happens to be playing against the Alabama Crimson Tide).